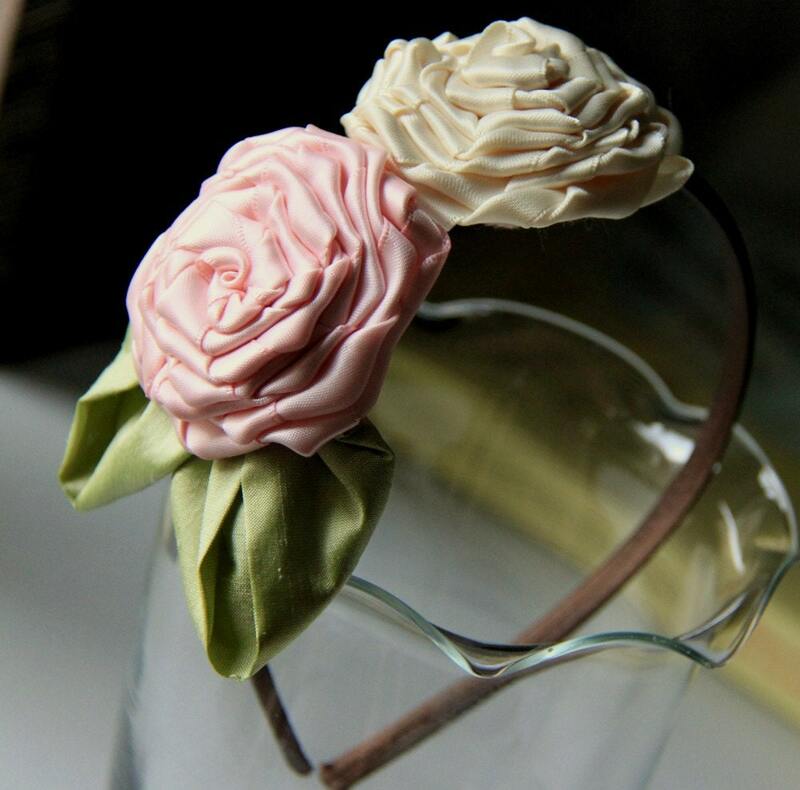 This pretty hair band is made with a brown satin wrapped band adorned with a pair of hand twisted satin pink and cream roses. I have made light olive green leaves out of Indian silk as accents. The shades form such a beautiful combination. Your little one can put this on for almost any occasion. 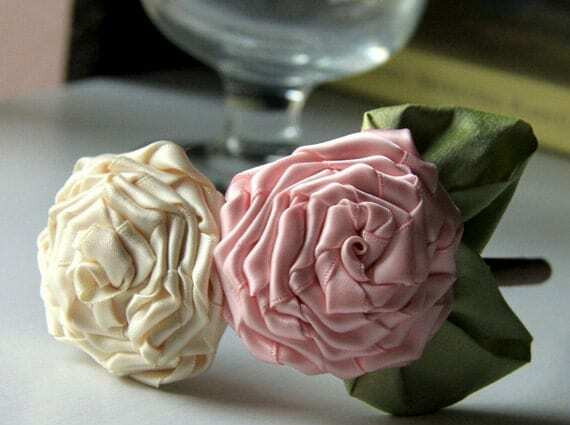 It can even be a flower girl hair band for a wedding. Suitable for 2 years old onwards.